•Measurements: 42mm long x 9mm wide. 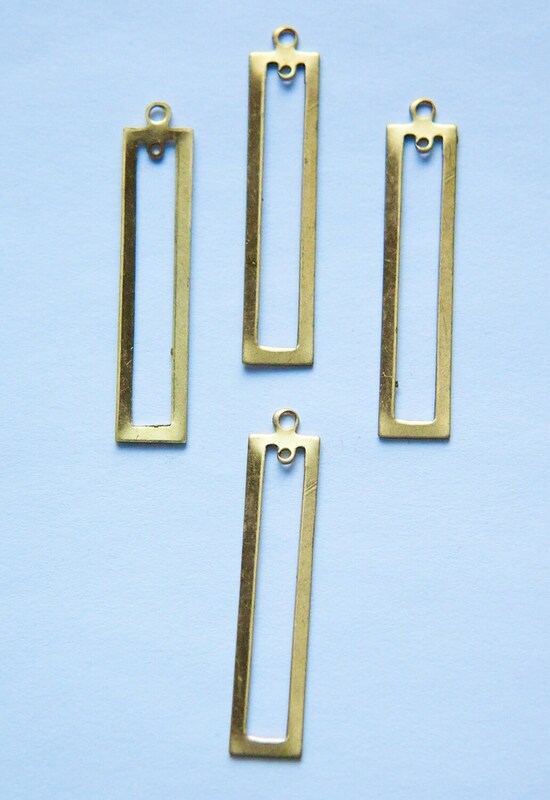 •Characteristics: These pendants have a beading hole below the top loop. The backs are slightly dapped. Additional Information: To see our other shapes, search mtl054. This is a raw brass item. Color can vary from lot to lot. Also, all raw brass will acquire patina over time. Very cool drops. Thank you.